There are many great ways to get involved on campus. Joining a club is one of them. 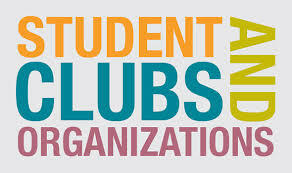 ​Click the image below to check out the list of clubs we offer at TOHS! If you would like more information about these clubs, please feel free to contact the advisor of the club. The print newspaper is published as a student forum nine times per year. You can also check out the Lancer newspaper online here! The Associated Student Body (ASB) represents the interests and ideas of TOHS. Student who are elected to be representatives of the ASB do a wonderful job organizing, planning, and volunteering their time for several school activities. 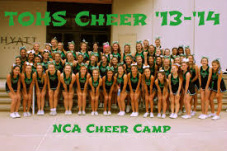 Thousand Oaks High School Cheerleading is a program built upon teamwork, dedication and respect. TOHS Cheerleading promotes Lancer spirit at athletic and school events as well as functioning as ambassadors to the Thousand Oaks community. Check out the JV and Varsity squads here! The TOHS Dance Program consists of many levels of training and performance. Second Period (beginning) up to Dance Team (Advanced). Auditions are required to enter every level. After auditions, dancers are placed in respective classes or groups by the director and coaches. Auditions to enter the program are held during Spring every year. The TOHS Instrumental Music Website offers information on Marching Band, Wind Ensemble, Wind Symphony, Color Guard and Percussion programs, and our Jazz Ensembles. Check out all that the Lancer Band and performance groups have to offer! 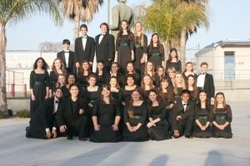 The choirs (mixed, concert, and vocal choirs) of Thousand Oaks High School, under the direction of Janna Wilhelm, compete in vocal music competitions and tour nationally. They invite you to come to their concerts and hear their award-winning sound for yourself, or better yet, join them!